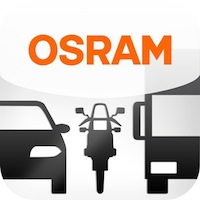 If you are looking for a garage or motor factor near you that can not only supply, but also fit our range of products for you, then we invite you to use our OSRAM Installer locator below. All of the OSRAM Installers listed have access to the complete range of products, including upgrade halogen headlight bulbs, HID (Xenon) bulbs, retrofit LED bulbs and our DRL (Daytime Running Light) and replacement FOG Kits. They also have exclusive access to detailed fitting instructions for most makes and models of vehicles – meaning they can carry out your bulb replacements or DRL / FOG Kit installation professionally*. * Osram cannot be held responsible for incorrect information listed on our website. The companies listed as Osram Installers have ensured Osram that they are a workshop/garage/motor factor (with fitting bays/space on site) so that they can provide a professional supply and fit 'Osram Installer' service to you, their customer. Osram will not be held responsible or liable for any maintenance, labour or fitting costs incurred as a result of using one of the installers listed. Osram reserves the right to remove companies listed from our website at anytime without any notice. The Osram Installer Programme will be added to on a regular basis so please check back should there not be one in your area.